It’s that time to announce our winner of Our Early Christmas Giveaway. Let me first say that we were amazed with the number of contestants that responded. There were some really funny responses as well as some heartfelt ones. The one thing they all had in common was they all made us smile. Susan, our creator and owner of ChristmasGifts.com selected the winner at random. We are happy to announce our winner. Congratulations to Melissa Alain Fowers! She will be notified and has a week to respond. If we do not hear from her then another winner will be chosen in her place. 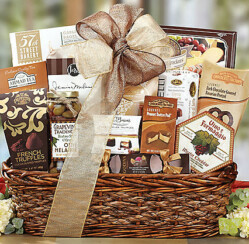 A huge thank you goes out to all of you who participated in our contest here at Christmasgifts.com. We will be having another contest coming up very soon. Thank you for supporting our website.